When I hit control+I the menu won't pop up, please help! Based on the reports of other people with a Mac you may have to uninstall Studio AND blender from your computer. Then re-install Studio, then Blender. When you are re-installing Blender just drag the Blender.app into your applications folder. Hi there. I'm an absolute beginner and I can't even get past square one here. 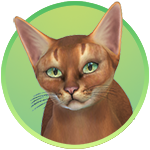 There is no button named "Create Animation" on the Main Menu screen of Sims 4 Studio (version 3.1.2.2 Wishes). There is a button named "Animation," but when I click on that I get a "Save As" window, not the searchable window you describe. Thanks yunanesca Since there hasn't been any reply to this 1-post user's seemingly useless quote of the first post in this thread I'll take it off the thread. Hi peterpauze I'll take a look at your question and see if I can give you some suggestions in a little bit. 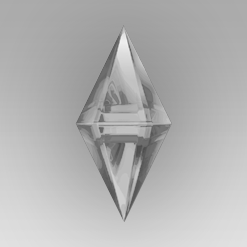 Hi peterpauze, welcome to the Sims 4 Studio forums! 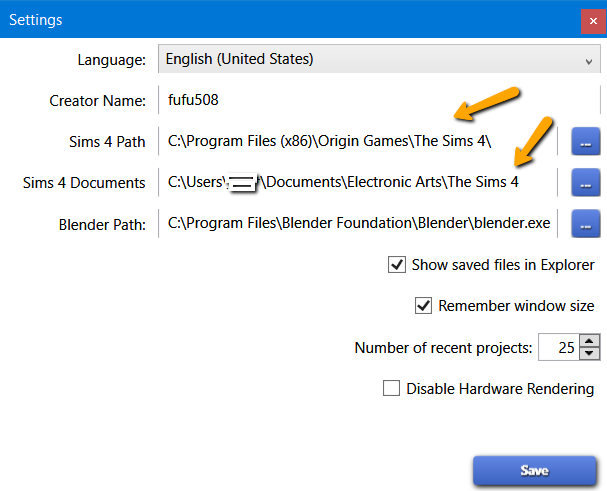 I am not positive but if you are only seeing the Animation button and not the two options below it then Sims 4 Studio may not know where your game is. Please confirm under Settings that your game files are where S4S is looking. If that doesn't solve it, please post a screen shot. i have notcied that, there is a new blnder version a 2.80 will making poses work with 2.80? also working from a macbook? kellyasims, yes, it will work with 2.80. I recommend watching tutorials about working in 2.80 since they changed shortcuts, or better just stick with older version if you are starting out, and switch to 2.80 once you learn the process. kellyasims if you are talking about 2.80 then I highly recommend this channel. I love it, very informative, relatively short videos that are good for people like me with attention span of a goldfish. I highly recommend for any newbie and not newbie. Start with their Blender Basic tutorial selection. I have tried following the very helpful YouTube tutorial on page 36 but I can only get as far as creating the ".blend" file. When I open the blender file that is generated, there is no rig. I thought it might be because I was creating a pose pack and not an override so I deleted the original. But when I tried again with an override there were no options to choose from. I searched for traits, to try to match the tutorial as closely as possible, but no options ever loaded. Am I missing a file? I am an absolute newbie at poses. I have the newest Wishes and it works for my other meshes however, the tutorial for beginner poses just does not match the Wishes interface AT ALL. I can't figure out how to select a trait, All it does it make a package. 3: Then I am in a window Studio tab where I can name the clip pack, etc. and either import or export an icon. 4: I can export a rig blend file based on the sim type. There is No option for traits. Sorry if this is not the correct place. I wasn't sure where to place it. Just saw this post. Blender 2.80 is better for users who are already advanced modellers. If you just stared out, it is worth learning older interface first because you will need to know how to work in it when you port models in Studio. Studio requires 2.70 or 2.76 versions.